Ukrainian President Petro Poroshenko has declared March 26 the Day of the National Guard. The respective decree was posted on the presidential website on March 18. The decision was made due to the significant role of the National Guard in the fulfillment of the tasks protecting the state, its security, lives, rights, freedoms and the legal interests of citizens, and protecting society and the state from criminal and other illegal infringements, as well as in the protection of public order, the presidential press service has said. 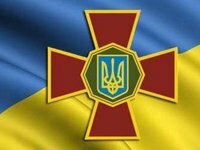 The president's decree of March 26, 1996 "On the Day of Internal Troops of the Interior Ministry of the Ukraine" is now void. On March 2014, the Verkhovna Rada adopted the law on creating the National Guard of Ukraine as a military formation with law enforcement functions, under the auspices of the Interior Ministry.